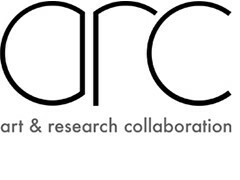 Over the coming weeks, second year ARC researchers will present their work in exhibitions, events and podcasts, across a range of contexts and venues. See below for booking links and check ARC Instagram and Twitter for updates! Consider the medical implant, a device developed to reside within the human body for the purpose of extending and enhancing life. Now consider that this sophisticated and often tiny piece of technology might actually be crafted by hand in a highly skilled and laborious process. Such is the case with the prosthetic heart valve which is painstakingly hand stitched in a process taking two to three days to complete a single valve. The very technology used to fundamentally alter and transcend the human condition relies on the ancient craft of hand sewing for its manufacture. 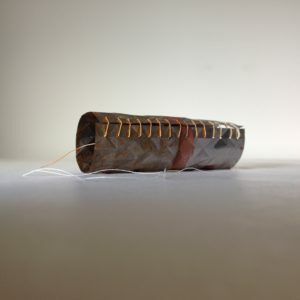 Foreign Body is an exhibition by artist Judy Foley that explores the high-tech medical implant as a handcrafted object. The exhibition will be opened by Anne Mullee, curator of The Courthouse Gallery and Studios, Ennistymon, Co. Clare, and will include a guest talk by Bruce Murphy, Assoc. Prof in Biomechanical Engineering, Trinity College Dublin. A handout will accompany the exhibition, designed by writer and artist Eoghan McIntyre and featuring a conversation between Anne Mullee and Judy Foley. This exhibition has been informed and enabled through interdisciplinary collaboration within the team of Bruce Murphy, Assoc. Prof in Biomechanical Engineering, and funded investigator at AMBER, the Science Foundation Ireland Research Centre for Advanced Materials and BioEngineering, at Trinity College Dublin, where Judy is currently an artist-in-residence. The exhibition is part funded by the Trinity College Dublin Fund for the Visual and Performing Arts. Venue: Arais Inis Gluaire, Belmullet, County Mayo. Paradise Is Too Far is a solo exhibition of current work by Martina Coyle, which explores the control of wildlife and the universal instinct to seek shelter. 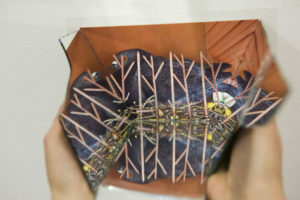 The initial impetus to research and develop this work came from seeing a photo on the internet of a tree covered with anti-bird spikes. These devices are widespread in urban landscapes and are often deemed acceptable when placed on buildings. However, an anti-bird spike on a tree is a different matter. This work questions the human desire to control how birds access spaces to nest or rest. Martina Coyle is a Westmeath-based multi-disciplinary artist whose practice is made up of three inter-related strands; studio-based artwork/ installation, public artwork and art facilitation. Martina has exhibited extensively in Ireland and France. Her many commissioned public artworks, which range from permanent to ephemeral, includes collaborative and residential public projects in various locations around Ireland. 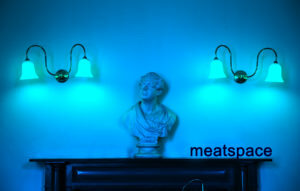 meatspace is an exhibition that ends almost immediately after it starts. Taking place in the Royal Irish Academy on Dawson St, you’ll have exactly two hours to catch a glimpse of what could be loosely described as a combination of compatible and conflicting narratives that are partially resolved but continue to evolve. Bringing together the research of Becks Butler, Astrid Newman and Ciara Roche, the show explores human behaviour within shifting environments, questioning modes of adaptation. Becks Butler is a lens-based artist and curator. She exhibited her solo show ‘Pushing Boundaries’ at illuminations in 2017 and has presented work in various group shows. Her collections have been purchased by the Royal Irish Academy and various private collectors. Becks recently curated Vera Ryklova’s ‘Aesthetic Distance’ at Triskel Arts Centre. Astrid Newman is a performance and video artist, she has exhibited and performed in numerous spaces in Japan, Britain and Ireland. She is currently a curatorial research assistant at The Lab Gallery, Dublin and is co-founder of conch.fyi an online platform publishing weekly artist interviews. Ciara Roche is a painter. She has shown extensively in group shows throughout Ireland with a solo show in Lismore Castle Arts in 2016. Her work is in many public and private collections throughout Ireland, Britain, USA and China. Together the three artists are recipients of the 2019 Wexford M11 percent for art commission. Podcast goes live on Soundcloud on Thursday 11 April 2019, 5pm. gharlands & wolves: parables in yellow are episodes of rapt moments, with the temporality of a concentrated gaze; a brief loss of self to the here and now of an artwork recounted, where bodily sensory perception might oscillate in the hovering suspension of the imagination. These episodes are suggestions to the listener, an emotional demand. The perceptual framing of gharlands & wolves relies on the promise of storytelling suffused with sensuality and the vile, a conduit through yellow. Promises are of primrose, sherbet fizz, soft lemon satiny silk. Blonde tones of naples yellow, pale ochre creamy flesh tones gush smooth, shaded pink from raw to burnt umber shadow. gharlands & wolves: parables in yellow are recorded for podcast to be released on Soundcloud, conceived and written by Andrea Neill, produced by Ana Carolina Vitória. This exhibition is a response to a specific historical object, a silk embroidered collar, which was hand woven by Elizabeth and Lily Yeats and worn by Countess Markievicz circa 1920. The collar has been borrowed from the Wexford County Archive and it will be placed on view in the gallery for the opening night only, and then returned to its permanent storage. 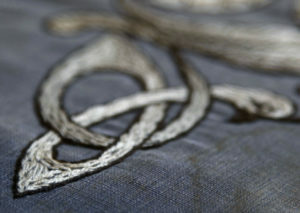 The silk floss threads of the collar, hand stitched in a Celtic knot work design, are explored in a series of large painted Cyanotype prints, displayed on the gallery walls. Inspired by the obscured history of the Yeats sisters, these Cyanotypes are made using the light of the full moon. Through paper collage works, photographs, stop-motion animation and fragments of sound and text, The Probable Causes of Future Experience takes the viewer on a surreal trip to an imaginary world where the actions being carried out are unclear and at times unsettling. The Probable Causes of Future Experience is an exploration of what it is to experience the world from a child’s perspective. 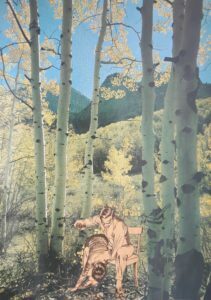 Using materials drawn from instructional manuals, illustrated encyclopaedias, family health guides, books about wildlife and the natural world, this work investigates the power dynamic between adult and child and the shifting boundaries between adulthood and childhood. Venue: Science Gallery Dublin, Trinity College Dublin. Imagine plastic breaking down in the stomach of sea creatures, transforming into a plastic protein, that is used as fuel to enhance or recreate the skeletal frame. How far are we from a time when sea creatures can design and shape their future selves with a material that is non-degradable, has increased fracture toughness, is lightweight, colourful and shiny? SuperNatural Plastic Eaters is a talk involving marine scientists Karin Dubsky and Heidi Acampora and artist Yvanna Greene. The talk, chaired by Anne Mullee, examines plastic pollution in the marine environment, the ingestion of plastic by marine creatures and reveals evolutionary new marine species washed up on the coast of Ireland. Casting Invisible Lines is a research project using video, sound and writing. It is an inquiry into both the connectivity of the sea and the barrier that the ocean skin presents. Petra Berntsson has invited artists around the world, living or working by the sea, to film short clips exploring their own relationship with the sea surface. Artist and writer Colin Glen has written an essay in response to the footage and sound artist Jane Pitt has created the soundtrack, based on hydrophone recordings from the North Sea. On March 22nd, Petra, Colin and Jane will present their collaboration, in a screening and talk chaired by Dr. Susan Steele, Chair of the Sea Fisheries Protection Authority. Places for this free event are limited and can be booked here. Voice:목소리:Moksoli is a live fifteen minute performance, and accompanying audio installation, exploring aspects of dual identity. 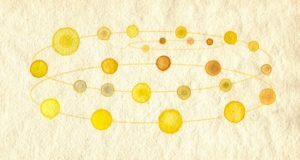 This work, devised by Jung-A Han, draws directly upon the lived experience of migration, using written language, dance and sound to explore the feeling of inhabiting a hybrid of cultures in everyday life. On Wednesday 11 April, Jung-A Han and Yoon-Kyung Chung will execute a live performance in RUA RED gallery. The performance will be interspersed with audio recordings, composed from collected interviews with members of various communities, reflecting upon on their own perceptions and experiences of representing different identities. Elements from the performance, including the edited audio, will be exhibited in the gallery of RUA RED from Wednesday 11 April until Friday 13 April 2018. Friday 27 April 2018, 12-8pm, with performances starting at 6pm Venue: The Museum Building, Trinity College Dublin. Guest Appearance: a group exhibition featuring Sophie Behal, Vanessa Donoso López & Benjamin Stafford, Isadora Epstein, Maeve Lynch, Eoghan McIntyre and Rosie O’Reilly. The ideal guest obscures the flaws of the host and there is no host more flawed than an artist. Hospitality manifests in the interplay of artwork, artist and audience, operating at the threshold between nature and artifice. Comprised of performances, sound installations and sculptures, Guest Appearance invokes matters of authorship, the transitional properties of objects, and the transformative quality of sound. Hospitality demands both the adherence to regulations and the acceptance of responsibility. It is simultaneously welcoming and hostile. The Museum Building at Trinity College Dublin offers a charged site for Guest Appearance. The exhibition explores the contradictions of hospitality, in which the guest-host relationship contains the potential for productive antagonism. ROSC: Fiction of the Contemporary, 23 March 2017. ARC researchers presented a performance and publication as part of the Exhibition Histories seminar, which also included contributions from Dr. Lucy Steeds, Kate Strain, Peter Maybury. This seminar took place on the 23 March 2017 at IMMA. Recording available here. The Beholder’s Share, Project Spaces, IMMA, Thursday 26 March – April 26, 2015. Installation view, The Beholder’s Share, Project Spaces, IMMA. Plinths by Hugh McGettigan and Katie Burgess, IADT BA students. The Beholder’s Share examines unrealised and unexisting projects from the IMMA Collection. The focus of the exhibition is the role which the viewer can play in imaginatively completing an unrealised work. Exploring the documentation, stories and latent potential of projects by artists such as Joseph Beuys, Christo, William Furlong and Sol LeWitt, the show will also include selected unrealisable proposals by 4th year students from IADT’s BA in Visual Arts Practice. The Beholder’s Share is curated by students on the Art and Research Collaboration (ARC) MA programme at IADT in collaboration with the IMMA National Programme.